It was very sad news to hear that British author Sue Townsend passed away this week. Her series of books featuring teenager Adrian Mole have been legendary (I suppose she’s the British Judy Blume?!). In the meantime, check out some of Adrian Mole’s best moments, courtesy of New Statesman. 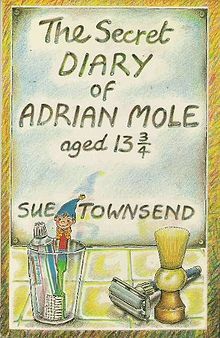 Posted on 11, April 2014, in Books, News and tagged Adrian Mole, books, British, Judy Blume, Secret Diary of Adrian Mole Aged 13 3/4, Sue Townsend, teenage. Bookmark the permalink. 1 Comment. Agreed: a whole generation loved Adrian Mole. Sue Townsend’s death is very sad.